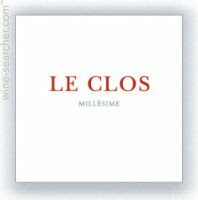 In this episode, Rob and Scott welcome a French red table wine to the show in Domaine Sainte-Eugenie Le Clos. Further, the show answers an unasked question of whether you can pair types of wines with types of occasions? Will this be a show where entertainment, journalism, science, and education all come together to uplift the audience, or is Scott on the show? We shall see...on The Wine Vault.